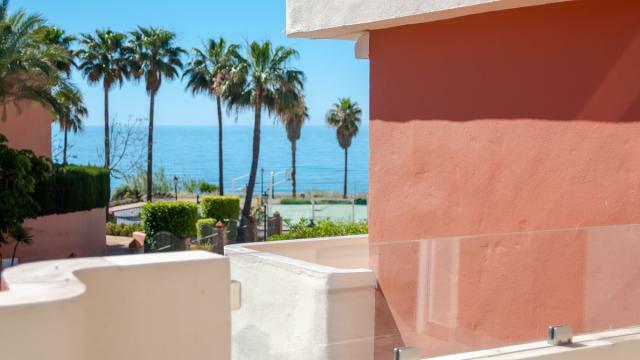 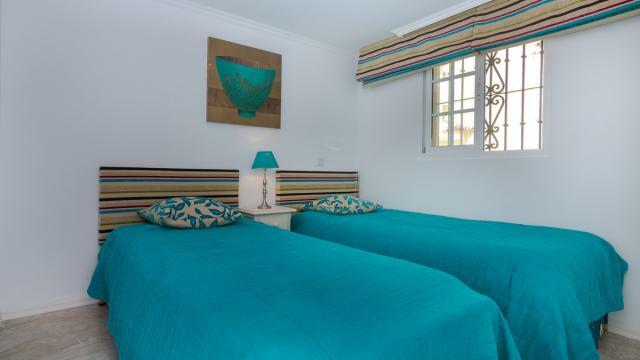 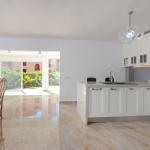 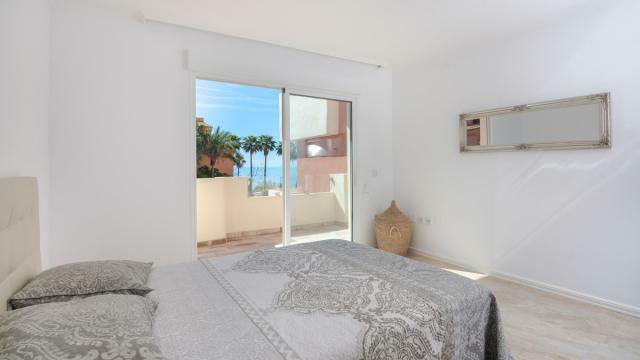 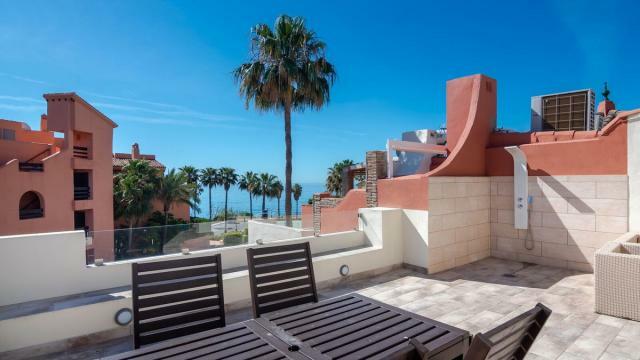 Luxuriously Renovated 4 Bedroomed Townhouse with exceptional Sea Views within a Front Line Beach Exclusive Residential Resort Urbanization beside the Kempinski Hotel and Laguna Villiage on the New Golden Mile Calle Marie Nostrum. 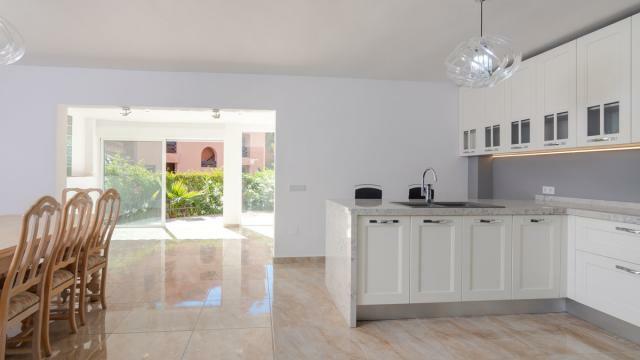 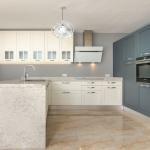 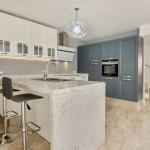 Spacious Sea View Townhouse complimented throughout with brand new high polished watermark flooring and coordinated white marble. 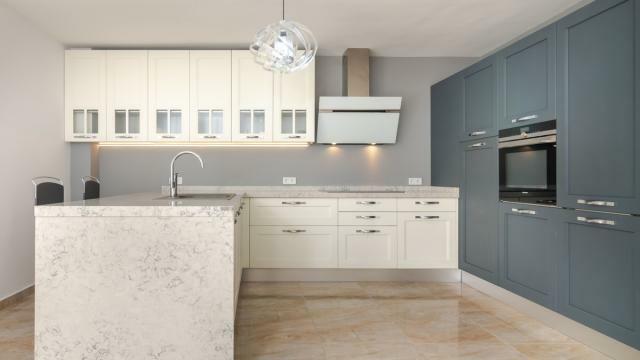 From the entrance hallway a light filled infinity Lounge/Dining Room with open plan exquisite Italian designer Arrital Kitchen complimented with Mayfair Paneling & a Silestone Peninsula with Siemans/Neff integrated appliances. 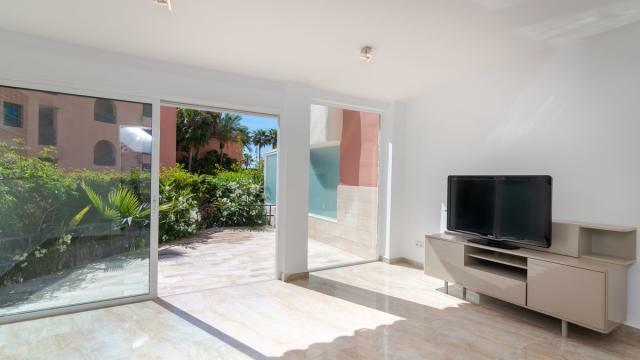 A further lounge/TV room features a floor to ceiling oasis window offering tropical palm and sea views with further access to a newly added elevated terrace finished with contemporary beach pebble-stone flooring. 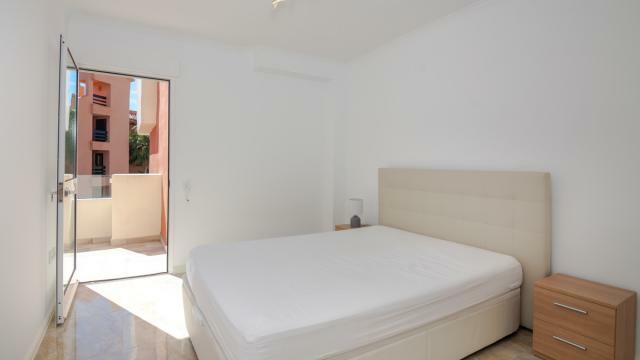 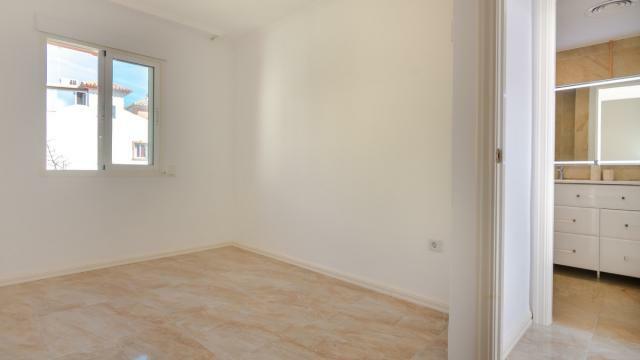 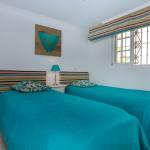 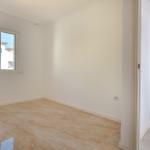 A guest bedroom with guest bathroom with walk in shower also situated at the entrance level. 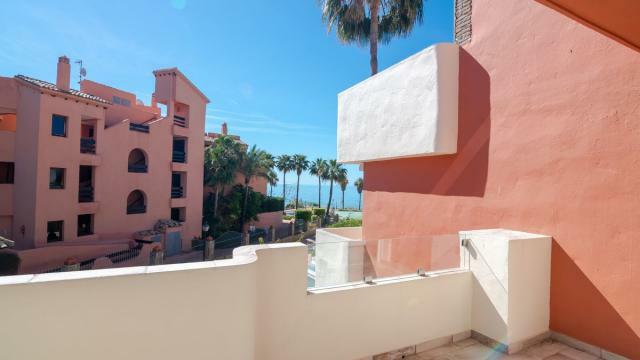 Marble Staircase for access to 3 further bedrooms and 2 bathrooms at 1st floor level, The Master bedroom is en suite and offers Sea and Garden Views from its own private terrace. 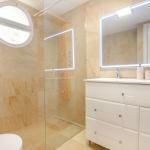 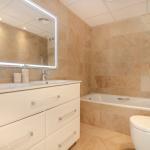 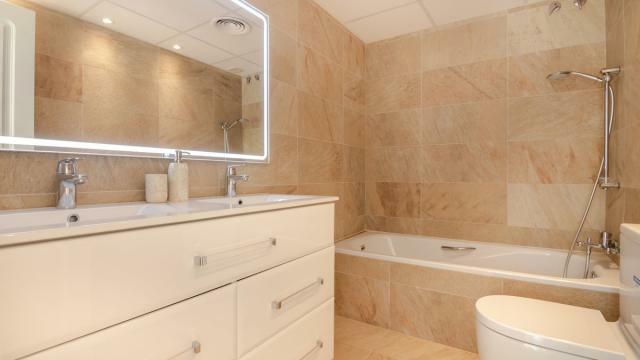 Furthermore a guest bathroom finished in floor to ceiling porcelain with nautical wood finishes. 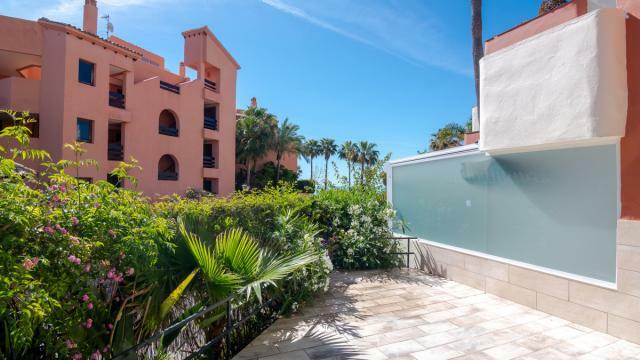 Stairway access to a sky view panoramic Beach, Sea and Paseo views Roof Terrace with electric awning, exterior shower, built in BBQ, ample dining space and with a purpose built exterior kitchen. 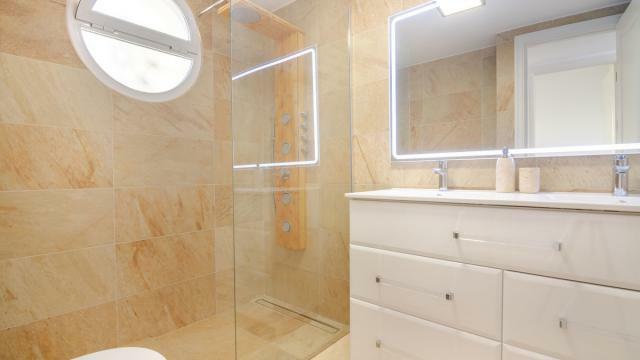 The Basement level features a large underground garage for 2 or more cars, a small staff/guest kitchen, a service/utility bathroom and a spacious storage room also located at basement level. 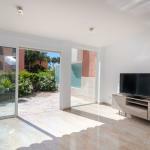 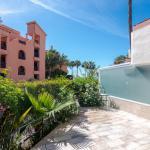 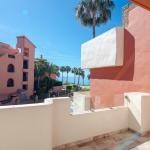 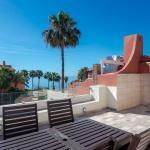 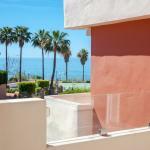 Direct gated access to the Beach, Paseo and Residents Beach Garden from inside the Urbanization.